As he announced his candidacy Tuesday to succeed Democratic Rep. Sam Farr in California’s 20th Congressional District, Democrat Jimmy Panetta — responding to a brilliant question from Calbuzz — took off the table the one issue that could have given him trouble: he declared his opposition to the Trans Pacific Partnership. 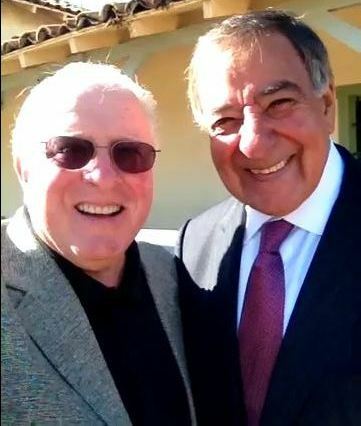 Farr is one of the rare liberal Democrats who supports TPP, as does Jimmy’s father, Leon Panetta, the former Congressman, Budget Director, White House Chief of Staff, Secretary of Defense, CIA Director and current Central Coast icon. On Tuesday in front of the bayside Custom House in Monterey, Panetta the Younger deftly throttled the issue. “Based on my initial understanding and what I have read, it appears that right now I’m against it, I’m leaning towards against it,” replied to Calbuzz during a brief and rare venture in Actual Reporting by at least half of us. Call Off the Dogs. Not exactly full-throated opposition, but likely good enough to ward off the goon squad. Calbuzz loyalists will no doubt recall that back in July we gave a ration to those Democrats who have excoriated others in their party — like Farr — who have had the good sense to support TPP. There are other potential Democratic candidates, and even one Republican announced candidate, for the seat Farr has held for 22 years in a district that today encompasses Monterey, San Benito and about half of Santa Cruz counties. Democrats comprise 52% of the voters and Republicans are out-numbered by independents 23%-21%. Barack Obama carried the district 71%-26% over Mitt Romney in 2012. Farr won his last two elections with 74% and 75% of the vote. In short, the district is as blue as the Pacific Ocean it abuts, especially from Santa Cruz to Monterey, wherein lies the bulk of the vote. So while Republican Pacific Grove City Councilwoman Casey Lucias has tossed her Naval Postgraduate School hat into the ring, she’s pretty much driftwood from the start. On the other hand, there are plenty of Democrats who could make the race lively. Leon’s Progeny The 46-year-old Panetta has never held elective office, but has been involved in local and regional affairs for years, as a member of the Monterey Bay National Marine Sanctuary advisory council, the Community Foundation for Monterey County board of directors, the National Steinbeck Center board of trustees and the board of the UC Santa Cruz Foundation. He served as a naval reserve intelligence officer and was deployed to Afghanistan in 2007-08. Best of all, he has the golden name. Which may be all it takes, especially if Leon calls on friends like Nancy Pelosi, Bill and/or Hillary Clinton and any number of mega-Democrats to help out his youngster. Monning is No Slouch, Then there’s the incredibly qualified Senate Majority Leader Bill Monning, 64, who served four years in the Assembly before being elected to the state Senate in 2012. He co-authored the End of Life Option Act, helped develop the Coastal Trail in the Big Sur area and worked to remove the San Clemente Dam. 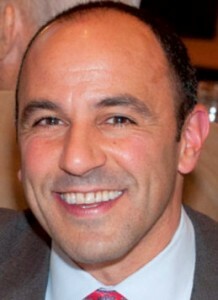 Before serving in Sacramento, he was a professor at the Monterey College of Law and a professor of International Negotiation and Conflict Resolution at the Monterey Institute of International Studies. He’s also former president and co-founder of Global Majority, Inc., an organization committed to education, training and advocacy in the field of non-violent conflict resolution. And he was a Fulbright scholar in Peru and Chile. But Monning’s Senate seat is also on the line in 2016 and he’ll have to decide if he wants to risk a sure-fire re-election to the Senate for a bruising and unsure battle for Congress. His Senate district overlaps with the Congressional district in large measure and he’s tight with labor, which can be a huge asset in this deep blue landscape. But Panetta is sure to be well-funded and endorsed. And now that Panetta’s come out against TPP, labor wouldn’t be as fired up for Monning as they might otherwise be. Assemblyman Luis Alejo, chairman of the Latino Legislative Caucus, also is said to be considering running. His Assembly district overlaps with about 54% percent of the 20th District and slightly more than half the district’s population is Hispanic. How About a Woman? 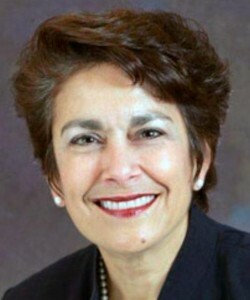 That’s also an asset for Anna Caballero, who recently resigned as California Secretary of the Business, Consumer Services and Housing Agency, and has served in the Assembly and on the Salinas City Council and as Mayor. If Emily’s List decides to seek a qualified woman for the 20th CD seat, Caballero would be a strong contender. She’s reportedly considering the race but also is said to be thinking about running for the Monterey County Board of Supervisors. Others who get mentions – but not serious consideration, are California Secretary for Natural Resources John Laird, a former Assembly member who’s happy as a clam in his current job and Assemblyman Mark Stone. We dabble in issues: In his announcement speech Tuesday, Panetta voiced support for comprehensive immigration reform, budget discipline and tax fairness, clean energy and quality education, equal justice and – notably – national service for all young people in exchange for educational benefits. Asked by Calbuzz if he supports President Obama’s assignment of about 50 special forces operatives to Syria, Panetta gave qualified backing, emphasizing that special forces should be engaged primarily in intelligence and targeting operations. He said he’d be reluctant to add more “boots on the ground” – i.e. combat troops – to fight ISIS. Asked about the same issue, Leon Panetta, the former Defense Secretary, had no hesitation urging Obama to organize a coalition of special forces – from Saudi Arabia, the United Arab Emirates, other Arab states and Europe – to lead the charge in wiping out ISIS. “The civilized world has to come together to defeat ISIS,” said the elder Panetta.